Apple’s been uncharacteristically playing catch-up in the past year-and-a-half. The Cupertino-based tech giant has been facing sluggish sales of iPhones, Apple Watches and now the HomePod is even struggling to find its footing. 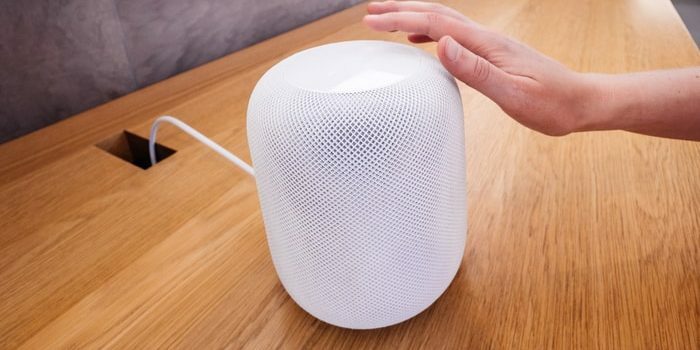 A report from the Consumer Intelligence Research Partners has stated that only six percent of the smart home speakers in the US are Apple’s HomePod brand. Apple’s HomePod faces intense competition in the American smart speaker market. Amazon’s Echo line of devices makes up a staggering 70 percent of field, while Google Home speakers represent the remaining 24 percent of the smart speakers. Apple, by contrast, has yet to even break into double-digits with its market share. This is likely an issue of both price and functionality. The HomePod comes in one configuration: a $349 behemoth that sounds amazing and looks like a futuristic device from space. That’s a hefty price tag when Amazon offers a $20 Echo Dot and Google even has a $30 Home Mini. While these tiny speakers have nothing on the HomePod, they’re affordable. So, they sell. Apple’s HomePod also has very limited functionality compared to Google and Amazon’s offerings. For instance, Siri only allows music to play from Apple’s own streaming service, and isn’t keen to play Spotify. This is another example of Apple’s tightly-controlled ecosystem coming back to haunt them. For the Apple faithful, it can be great to keep everything in the sterile, white walls of Apple’s “ecosystem.” Mac-toting, Apple Watch-wearing iPhone users likely love their HomePods. Most people, however, have no such brand loyalty and use tons of different companies’ electronics. That’s why Microsoft’s Windows operating system made them one of the world’s largest companies. Apple is even beginning to offer Apple Music through Alexa, marking a rare instance of them breaking from their usual exclusivity. Apple’s seeing slowing sales for much of their hardware: are they thinking it’s time to make their subscription service a cornerstone of their brand? Another solution, of course, would be for them to open up their ecosystem more. Make a $30 HomePod Mini. Allow Spotify to play through the HomePod easily. Allow easy communication with Alexa-enabled smart home tech. After all, if you can’t beat them, join them! Will we be seeing a new era of cooperative Apple features? Well, probably not. Not as long as Apple’s still posting profits with their current business model, at least. If the sales slow down enough, though, and Apple finds itself in the red… who knows. Maybe cooperation would suit them if it stood to make them some money!